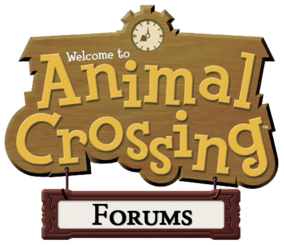 You've reached Animal Crossing Forums, the newest site on the Wild World Wide Web. We hope to become the greatest community of Animal Crossing fans ever! You should join for free today, so you can post on our forums, use our chat box, and more! Discussions about things that don't fit into the other forums. Post your ask the staff questions. If you need help, post on the Civic Centre forum. Discussions about any video game outside the Animal Crossing series. Discuss entertainment other than video games here. Discuss your favorite books, magazines, and other forms of literature here. Do you have a website that you want to advertise? Post an ad in the Bell Shop for 3000 bells. It will be moved here. Staff members may post ads here for free. Want to play a game on this site? Play it here!